REM Atelier is a collaborative art and design project that started in 2015. The objects and installations created by artist Remty Elenga and designer Remco van Halderen are oftentimes an investigation into functionality and decor. The name REM atelier represents the first shared letters of their names and, more symbolically, the melting together of their practice. 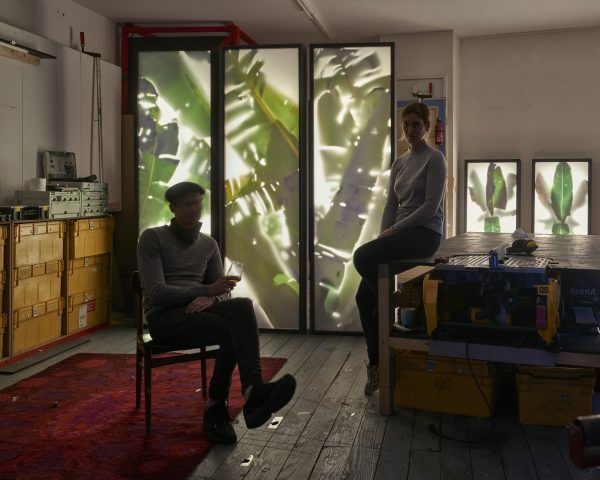 Their first shared studio space in Rotterdam, which marked the beginning of their collaboration, did not only serve as a space to work. As host to several big scale interactive installations it was transformed into a work of art itself, exploring spatial boundaries and meanings. Investigation into everyday objects, playfulness and spatial awareness characterise the work of REM Atelier. The works never merely serve to decorate a space. Rather they create an alternate space, subjecting the surroundings to the artwork.